April showers bring may flowers, right? 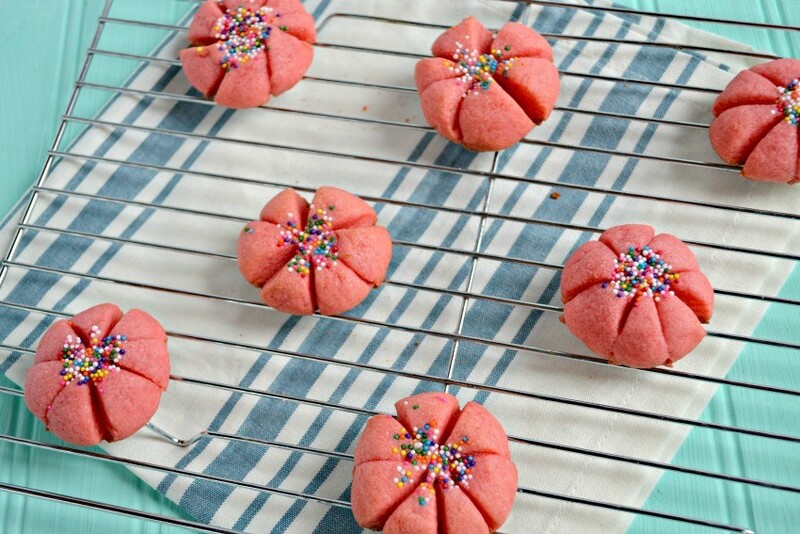 So why not celebrate with some Spring Flower Cookies to brighten everyone’s day! 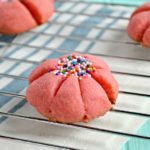 These easy flower cookies are made with just a few ingredients and are fun for kids to help out with. 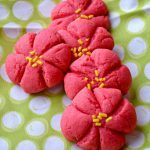 I’ll show you how to make flower cookies and how you can personalize them in any flavor or sprinkle combination, which makes these flower shaped cookies the perfect option for spring! 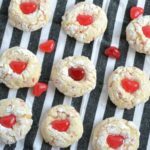 These cookies are also a version of easy jello cookies…so you can make them regular, without looking like flowers, too if you don’t want to get fancy! In a large bowl, beat butter, sugar, vanilla, gelatin, and egg with mixer on medium speed. Once mixed, on low speed add in flour. Shape dough into 1 1/4 inch balls and cover and refrigerate for one hour. 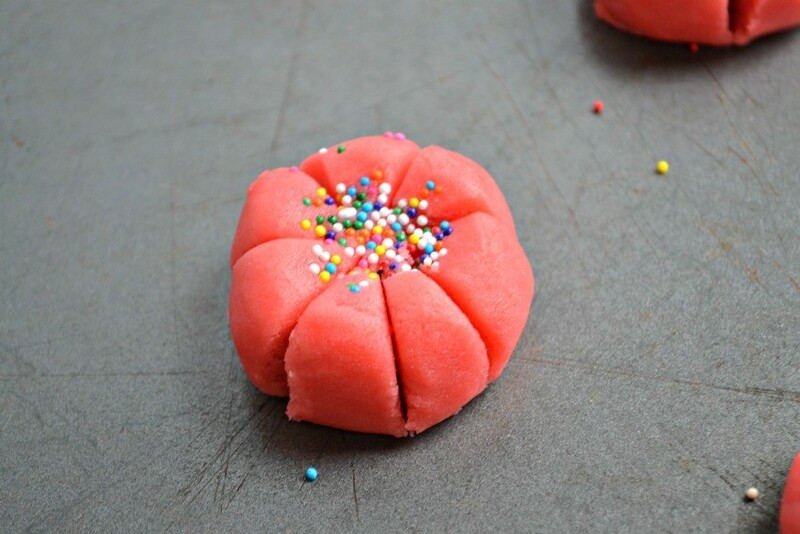 Dip top of the dough ball into multi colored sprinkles, then gently press down in the center of the "flower". Heat oven to 375 degrees and on an ungreased cookie sheet, place balls about 2 inches apart. With a sharp knife, make six cuts on top of each ball about 3/4 of the way through to make six wedges. Spread wedges apart slightly to form flower petals (cookies with separate and flatten as they bake). 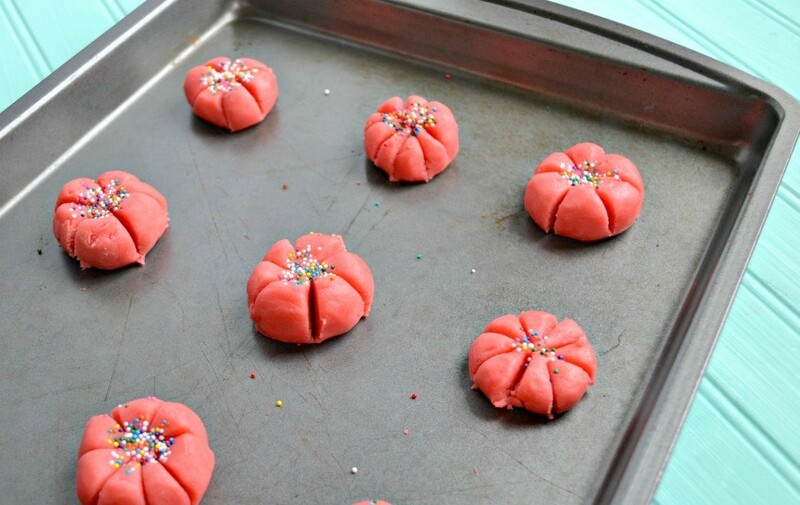 These flower cookies are so simple to make, once the dough is made, the hardest part is making the flowers themselves. I roll mine into balls, let them refrigerate, then I dip them in sprinkles at the VERY tip of the dough ball and use that as the center of my flower. I gently push down the sprinkles in the center, then I use a knife to cut and create my petals. It takes a little time to find your “groove” when creating these, so practice a few times to get it just right. 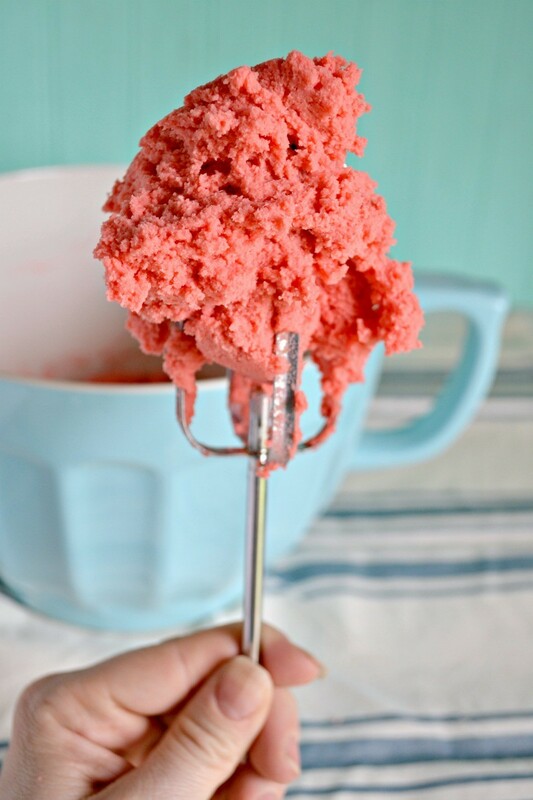 You can even use play dough to practice if you want to before you make the cookies. Once you’ve rolled all your flowers out, bake them for 9-11 minutes, then let cool. 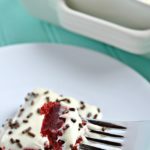 I plan on using this recipe with different jello flavors to make yellow flowers and blue flowers too…just think of all the fun color combinations that you an do!! 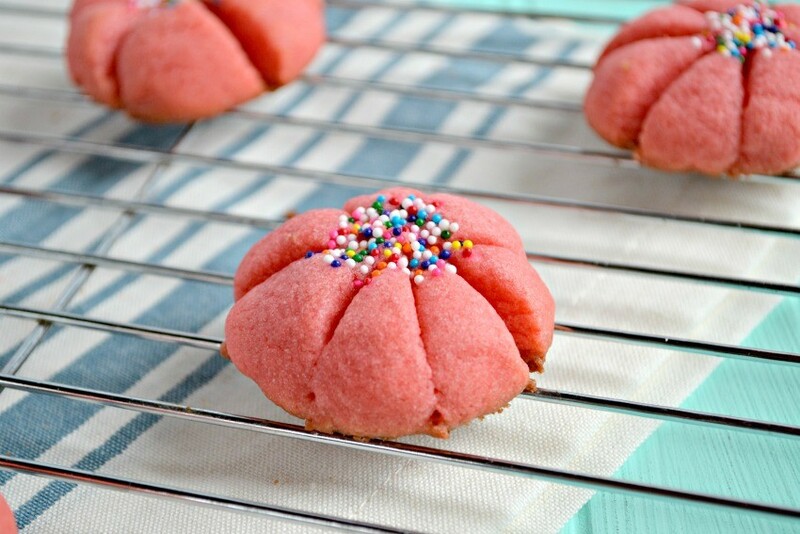 I’m in love with this flower cookies recipe and can’t wait to do more with it. 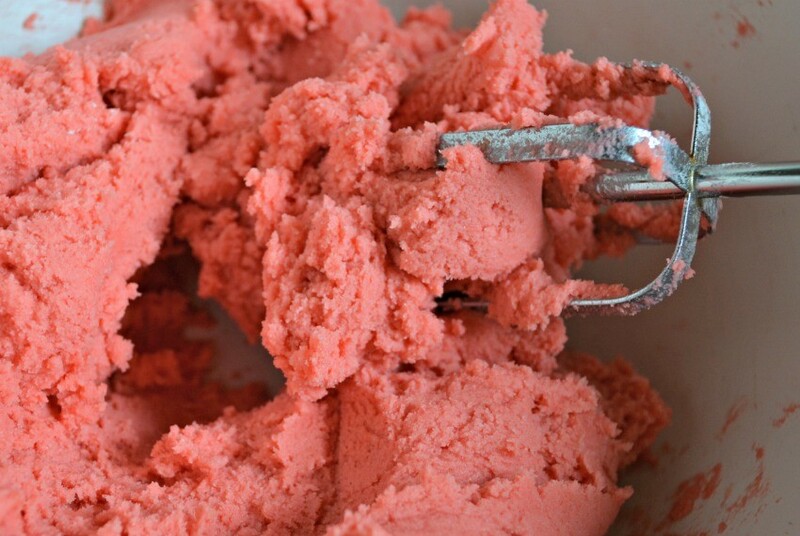 And if strawberry jello cookies aren’t your thing, try other flavors of jello to make a different jello cookie flavor. 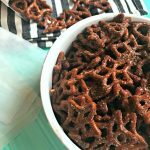 I hope you enjoyed this recipe!! 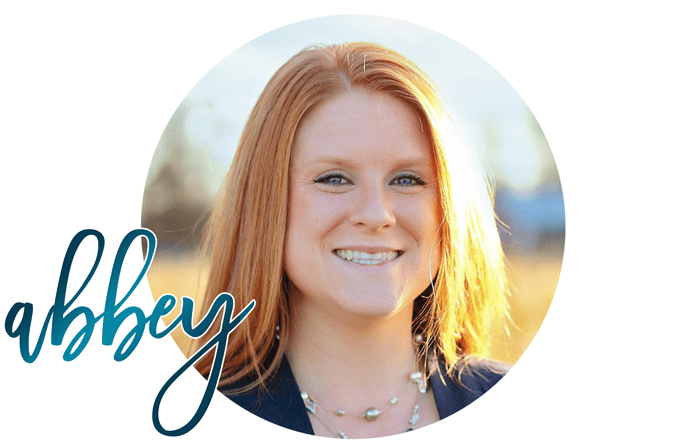 Leave questions in the comments below!